The Villchur Blog posts articles about the life and career of author, educator, and inventor Edgar Villchur. 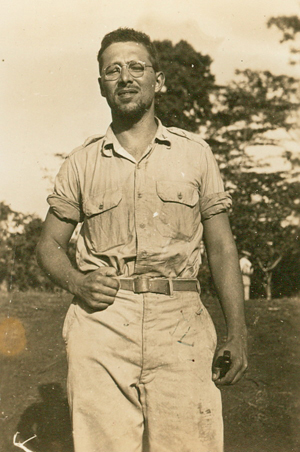 Edgar Villchur served in the Army Air Corps for four years during World War II, including twenty-eight months in the South Pacific. His unit moved several times, each time setting up camp closer to Japan. 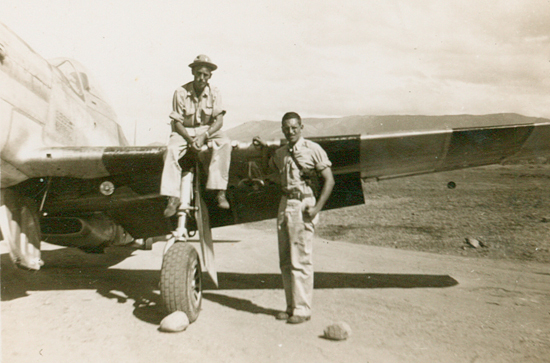 Starting from New Guinea in June of 1943, the 348th Fighter Group moved every few months, to several locations in the Philippines and finally to Ie Shima, an island near Okinawa, in July of 1945. One month later, Japan surrendered, and the war was over. The camp was closed on August 31, 1945. Edgar had been corresponding regularly with his girlfriend Romy back in the states. 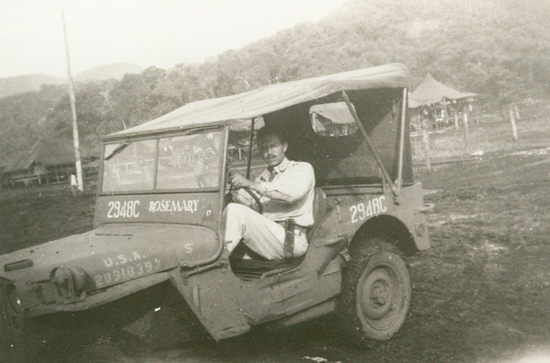 He had painted her name (Rosemary) on the front of his Army jeep, and sent most of his Army pay home to her. Romy’s conservative Presbyterian parents were a little apprehensive about their daughter’s arty Jewish beau, but they soon accepted him, and two months after he got home, Edgar Villchur married Rosemary Shafer in a simple ceremony at Romy’s parents’ home in Staten Island. Eddie wore his dress uniform, and Romy wore an elegant light green dress. Edgar and Rosemary (Eddie and Romy) in 1945. War is over! They set up housekeeping in Greenwich Village, and Eddie started looking for work. In college he had been an art history major, and had received an M.S. in education, so he was qualified to teach art and art history. Eddie had done theatrical set design, including a set for Prometheus Bound, a play by the ancient Greek playwright Aeschylus, in an off-Broadway production. During college, he had also spent summers as a camp counselor, running the dramatics program for the campers. He knew about many aspects of theatrical production—lighting, props, sound, and all the behind-the-scenes details. 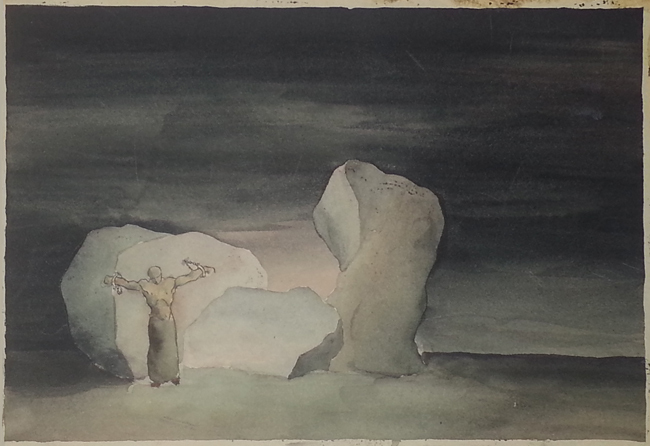 Edgar Villchur’s painting of his set design for an off-Broadway production of Aeschylus’ Prometheus Bound. There is a very faint signature, “E. Villchur” in the lower right corner. Villchur went to visit his City College art history professor, Albert d’Andrea, and asked for guidance. Professor d’Andrea was very candid with Eddie. He said there were very few jobs in the world of theatrical production. He asked Eddie what he had learned during the war, and Eddie told him he had learned to fix radios. Professor d’Andrea advised him to use that, and said that people were depending more and more on their radios and phonographs for entertainment. The radio had become an essential part of American life. Starting in the 1930s, families spent many evenings in their living rooms, gathered around furniture-sized radio consoles, listening to news, sports, comedy series, dramas, and music. Edgar and his family had for many years enjoyed Metropolitan Opera radio broadcasts and other classical music programs such as The Voice of Firestone and The Bell Telephone Hour. 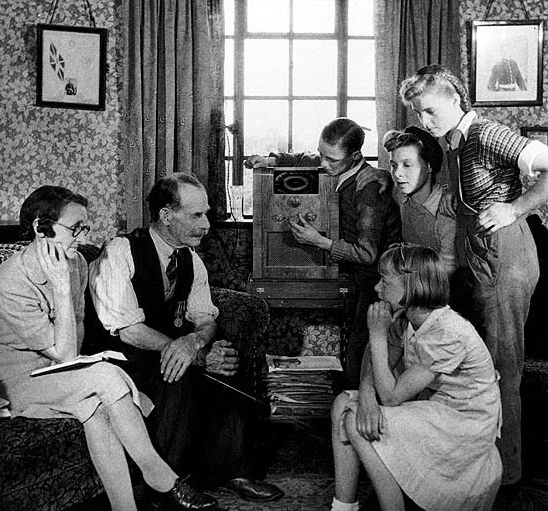 American families in the 1930s and 1940s enjoyed listening to the radio after dinner. Edgar loved jazz and big band music as well, and listened to the Make-Believe Ballroom regularly. New York’s radio station WNEW started broadcasting the Ballroom in 1935, with Martin Block announcing as if he were a disc jockey at an actual ballroom. Martin Block invented the genre of the radio DJ show. When he started, WNEW had no records other than those Block bought. The station’s management, and most radio broadcasters, thought that the radio audience wanted live music played over the airwaves. They did not believe that advertisers would pay for airtime on an all-recorded-music radio show. Block found his own sponsors, and was enormously successful. In one famous incident, he advertised a sale on refrigerators during a New York City snowstorm, and more than one hundred people slogged through the snow to take advantage of the bargain. After that, advertisers lined up, and the radio station had to keep a waiting list for sponsorship spots on the show. Block played popular dance tunes by big bands such as those headed by Count Basie, Harry James, and Gene Krupa. One of Villchur’s favorite jazz performances was “Sing, Sing, Sing” by Benny Goodman, with solos by trumpeter Harry James, drummer Gene Krupa, and the bandleader himself on clarinet. On Saturday nights, Block hosted the “Saturday Night in Harlem” segment, introducing America to the music of the great black jazz masters—Louis Armstrong, Duke Ellington, Billie Holliday, and others. These were some of Eddie’s favorite performers. 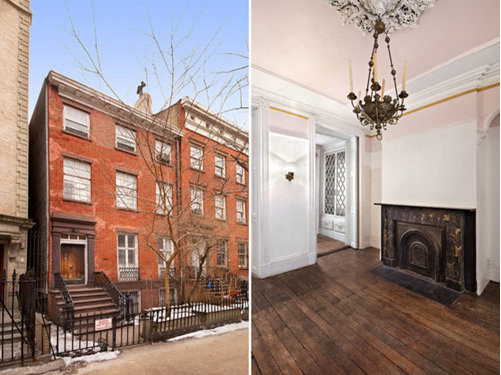 After getting married, the Villchurs bought the historic brownstone at 404 West 20th Street in Manhattan. It was built Clement Moore, who wrote “’Twas the Night Before Christmas” and lived there for many years. Edgar’s radio shop prospered. Being an entrepreneur allowed him the freedom to pursue more education in his new field of endeavor. He spent hours in the New York Public Library on Fifth Avenue, reading all the books he could find on physics and higher mathematics, as well as works on the applied sciences such as audio engineering and sound reproduction. He also started writing articles and submitting them to both technical and general publications. His clear explanations of complex ideas won favor with editors, and he started getting regular writing jobs. Audio Engineering magazine (later renamed Audio) contracted with him for an article each month. He also wrote on more general topics for Saturday Review, edited by Norman Cousins, a well-known activist for nuclear disarmament and world peace. Edgar made an appointment with the administrators of the night school at New York University, armed with several of his published articles and an outline for a proposed course on sound reproduction. Villchur emphasized his master’s degree in education (and may have downplayed the fact that his major was art history). He was persuasive, he was articulate, he could write and think clearly, and he was offering a course that was of great interest to many students at the time. 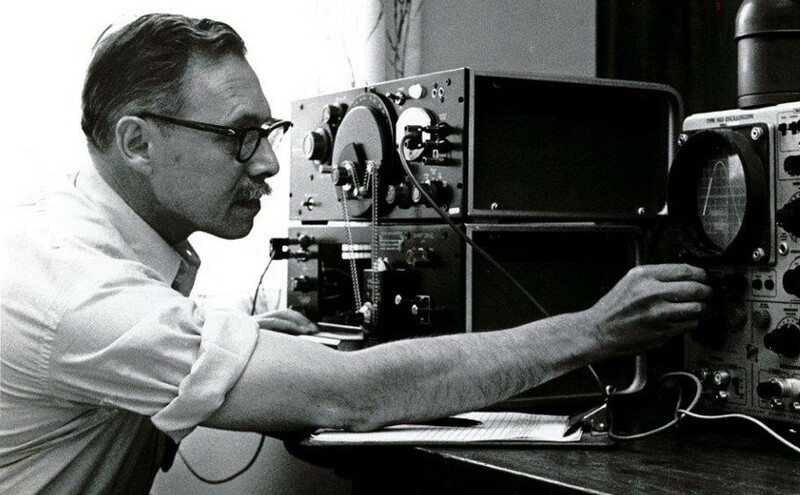 NYU hired Villchur to teach the course that he designed, entitled “Reproduction of Sound,” one night a week at their campus off Washington Square in Greenwich Village. In 1951, the Villchurs moved to a residential area in Queens. It offered more outdoor space and less noise than Manhattan, but the family was not happy with the suburban environment. With a fairly regular career in writing and teaching, Villchur realized the family didn’t have to live in the city. He could write from anywhere, and could travel into New York once a week to teach. Eddie had lived in the country as a boy, and had loved it. Romy had grown up in Staten Island, on a property with many trees, a terraced lawn, and gardens. So they started looking for a place to move. Romy saw an ad in Saturday Review for a place for rent in Woodstock, New York. Eddie had heard of the town because the Art Students’ League, a famous New York City art school, had a summer campus there. So the Villchurs made an appointment with a real estate agent, and drove two hours up the Taconic Parkway (the section of the New York State Thruway between New York City and Kingston was not opened until 1954). The house that had been advertised wasn’t to their liking, but the agent showed them a few other places, including the home of Gene and Hannah Ludens on Chestnut Hill Road in the hamlet of Zena. The whole family fell in love with the house, and the Villchurs and Ludenses got along famously. Gene was a painter, and Hannah was a sculptor. They spent their summers in Woodstock, and traveled to the Midwest each fall to teach art at the University of Iowa. This was the first time they were planning to rent out their house for the whole year, and they wanted to make sure it went to responsible people. When they met the Villchurs, the Ludenses knew they would take good care of the house. The rent was $60 a month. 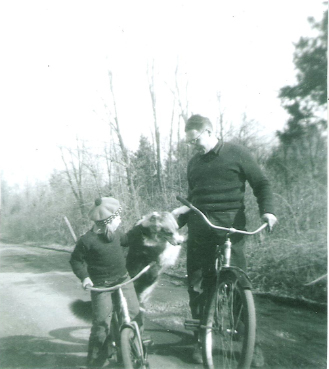 Edgar Villchur with me and Cochise, shortly after moving to Chestnut Hill Road in Woodstock, 1952. Edgar Villchur, in his usual organized and methodical way, set up the life he wanted. He educated himself in his chosen areas of interest. He convinced a prestigious university to hire him to teach a course he himself had invented, using a curriculum he had written. He found a way to support himself and his family and to live in a cozy home in a rural and artistic community. The scene was set. In the next year, Edgar’s field experience in radio and sound systems, combined with his self-education in physics and engineering theory, would come together in a moment of revelation. But that is a story for next time. The Villchur Blog posts articles about the life and career of author, educator, and inventor Edgar Villchur. This is the third article about Villchur’s experiences in World War II. 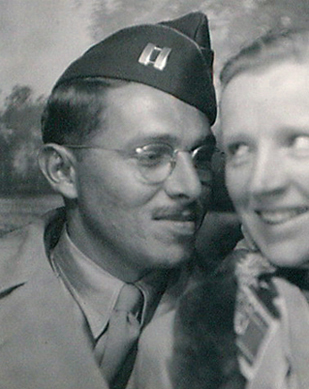 Edgar Villchur served in the Army Air Corps for four years during World War II, including more than two years in the Pacific. 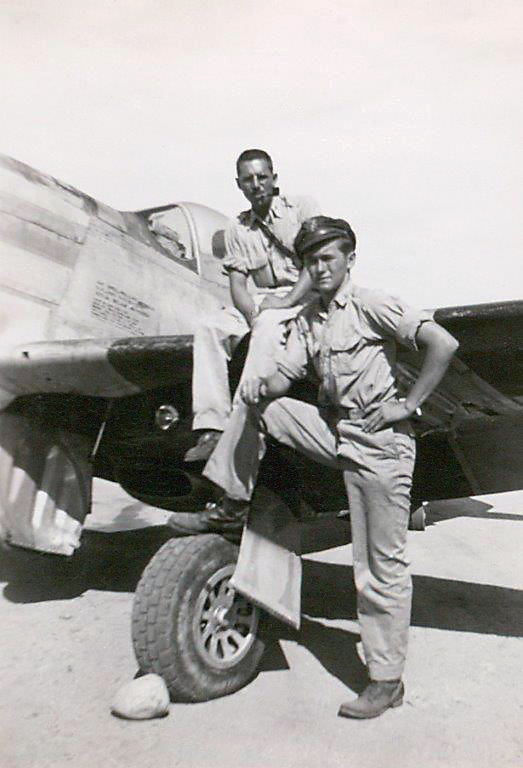 During that time, he learned how to repair and maintain the all-important radio equipment in the airplanes and on the ground in his unit. But he was more than just a radio repairman. 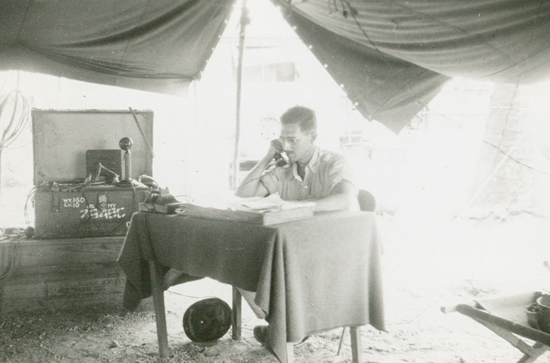 He figured out how to make the equipment work better, and he contributed to the quality of air-to-ground communication in ways that genuinely assisted the war effort. 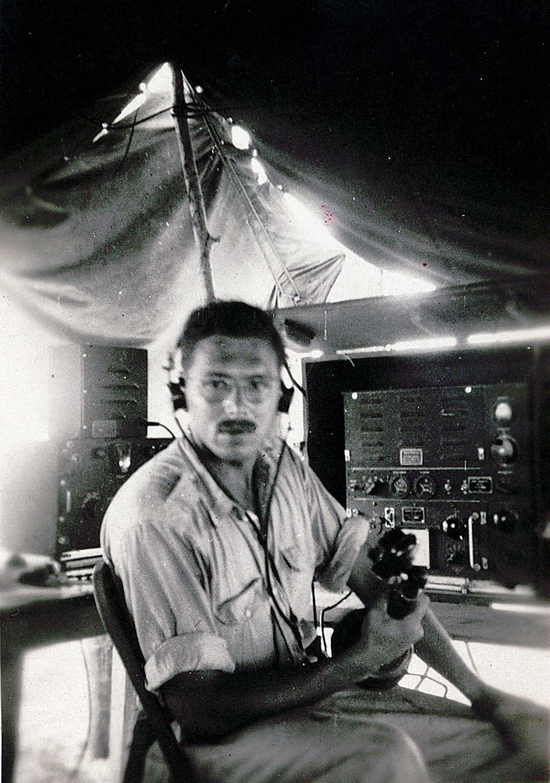 Villchur made several “Unsatisfactory” reports concerning radio equipment on the P-47 fighter planes while he served as the Communications Officer of his unit. The first was a report on a capacitor that tended to break down suddenly during flight, causing complete failure of the radio receiver and rendering impossible any communication between the pilot and ground control or other aircraft. He discussed the problem with the Communications Officers at the other squadrons in his area, and discovered that each of them had experienced up to fifteen radio failures in a six-month period, all due to this defective part. 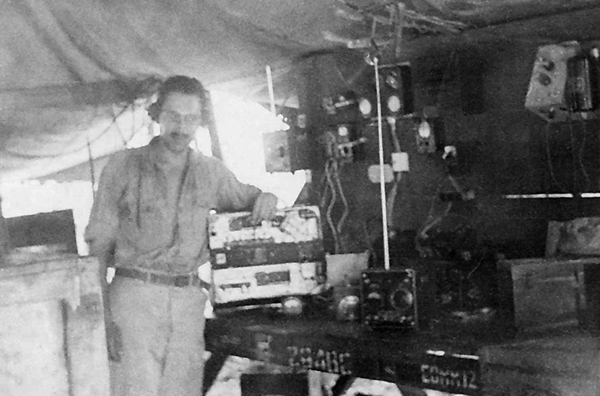 The fix was simply to replace the capacitor, but Villchur went on to recommend that the manufacturers be told to perform more rigorous inspections of these radio parts to make sure that they were meeting the electrical specifications called for by the Army Air Corps requisitions. His second “Unsatisfactory” report gave rise to a favorite story that Villchur told friends and family in later years. Airplanes were losing radio reception about fifty miles out from base, when they should have had a much greater range. Villchur, who was not a pilot, had no way to observe the problem first hand, so a pilot offered to take him up in the P-47 to see for himself. 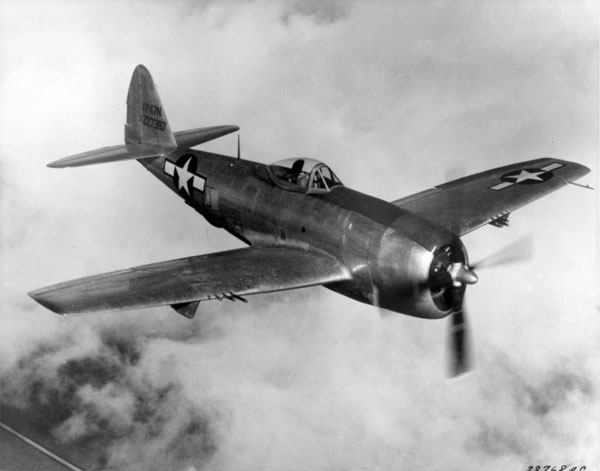 The P-47 Thunderbolt is a one-person aircraft, but Villchur, who was five foot nine and one hundred and sixty-five pounds, managed to squeeze himself in under the panel with the pilot. Hearing how the radio signal cut in and out convinced him that the problem was in one of the vacuum tubes. 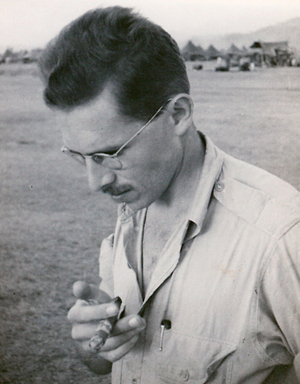 During his time as Communications Officer, he also devised a method of testing radios without removing them from the airplanes, saving time and effort. One day, Villchur was reprimanded by a superior officer because one of his men had left a tool kit out in the rain. Villchur said he would take care of it. The next day he was summoned to the Commanding Officer’s office. 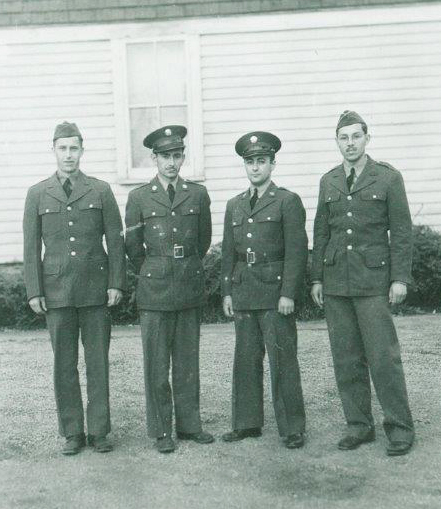 When he got there, his squadron CO, the squadron communications officer, and the Group Communications Officer (a group consisted of several squadrons) were all there. In telling this story to family and friends later in life, he remembered how he had assumed he was going to be punished for leaving the toolbox out in the rain—and he couldn’t believe they were making such a big deal about this little mistake. So he was very surprised when, instead of a reprimand, he was given a Citation of Appreciation for Meritorious Achievement, based on the vacuum tube report he had submitted six months earlier and the in-plane testing system he had devised. His Army superiors had read his reports and decided to change procedures. Shortly after that, Villchur was promoted to Captain and awarded the Bronze Star, the fifth highest medal given by the US military, awarded for meritorious service in a combat zone. When he told the story years later, he rarely mentioned the medal he received. What made him most proud was the fact that he had figured out what the problem was and made a recommendation as to how it could be remedied. He was surprised that his superior officers had paid attention to his report, and it gave him great satisfaction that they actually changed procedures for testing the vacuum tubes. Because of his careful and detailed report, airplane radios did not fail, and pilots were able to stay in communication with their ground crews. And even though Villchur disdained the Army’s non-egalitarian system of hierarchy and ranks and medals, it didn’t hurt that he received recognition for his efforts—a citation, a promotion, and the Bronze Star. In his reports, and especially in the report on vacuum tubes, Villchur demonstrated his understanding of the scientific principles of observation, measurement, experimentation, and conclusion. He developed a theory to explain the observed failure of the radios; he designed an experiment that would prove or disprove his theory; he chose a large group of test objects at random to ensure comprehensiveness; he included a control by retesting the original tube after every five tests; he proved conclusively that the defective tubes were causing the poor performance of the radios; and most importantly, he documented every detail of his method, described every step of his procedures, explained his conclusions, and made a specific recommendation to correct the problem. In addition, his report is written in clear, understandable English. In a five-page single-spaced typed report (of which I have a carbon copy), there is not a single typo or correction. Edgar Villchur was twenty-six years old when he put in his vacuum tube report. 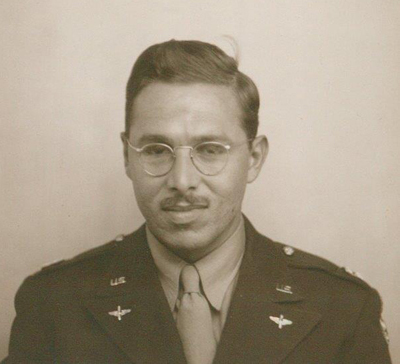 His education had consisted of a master’s degree in art education and field training in radio repair from the US Army Air Corps. But he had already figured out how to do original scientific research, how to address and solve specific problems, how to write up his work in a way that would be understood, and how to make a recommendation that would be listened to. The military bureaucracy is often accused of being resistant to changes in procedures. Villchur found a way through that resistance, and effected a change in policy that made the airways safer for American pilots.